If you grew up watching reruns of Laurel and Hardy movies on black and white TV -as this ancient reviewer did – the movie “Stan and Ollie” will break your heart. It also happens to be the best film about show business I have ever seen. The acting of John C. Reilly as Oliver Hardy and Steve Coogan as Stan Laurel is superb, well supported by the deft timing of Nina Arianda and Shirley Henderson who play their wives. Even Rufus Jones as Bernard Delfont provides the right comic touch playing the self-deprecating impresario who handles a tour of England and Ireland for the comedians in the twilight of their careers (1953). Scottish filmmaker Jon S. Baird has directed a fitting tribute to the legendary comic duo. If you don’t shed a tear – or more – by the end of “Stan and Ollie” then you are made of sterner stuff than I am. 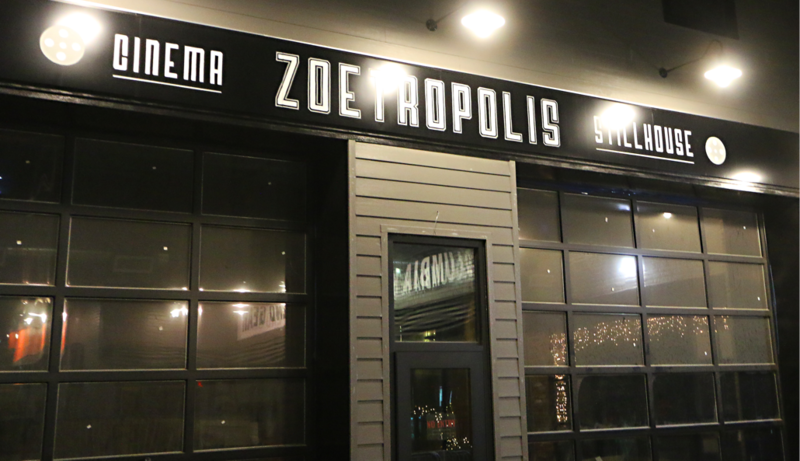 As I was leaving the theater after the showing at Zoetropolis, a lady behind me sighed, “I could see that movie again”. As Laurel might say, I couldn’t agree more. Stan & Ollie will be showing through February 6th at Zoetropolis. Extra thanks to all that have chosen our theater to see it. We know it’s out there in the big box spots but choosing us means so much.